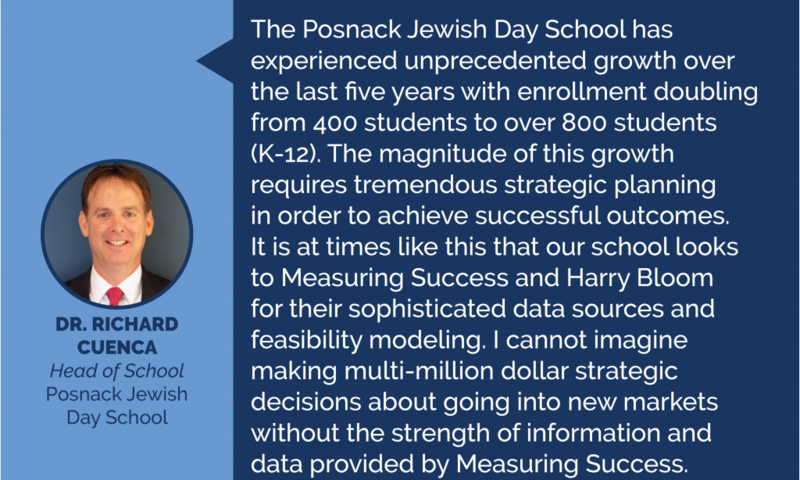 The Challenge: The David Posnack Jewish Day School needed help determining the potential size for an independent school in an underserved area of South Florida. Deliverables: Measuring Success provided administrators with a scored list of prospective families with address, email contact and date of birth of children in the home. The Approach: Measuring Success took name and address information on current families and recent alumni to run a data model. With this “lookalike” model in hand, we compared the list to an acquired list of families in the ZIP codes inbound to the school. We provided the school with the scored list of families that ranked highest for marketing and outreach.